After 22 years looking for answers, Kara LaFache has finally been diagnosed with Ehlers-Danlos Syndrome. Watch this video TV news report, which brings awareness to the multi-systemic and disabling aspects of EDS. Spread awareness yourself with these EDS Awareness materials! UTICA, NY – Characterized by a lack of awareness and mis-diagnosis, Ehlers-Danlos Syndrome or EDS can wreak havoc in people’s lives. It’s a genetic disorder that effects the connective tissue and causes chronic pain. Local social worker, Kara LaFache, 42, has been suffering for more than two decades with this disorder and sheds some light on this troubling disease. LaFache said the symptoms of EDS can manifest in individuals in many different ways, and that’s why it is misunderstood. She says that’s what makes it so tough to deal with. “Most people, even doctors who don’t know anything about EDS say ‘if she has pain, tell her to take some pain medication,'” said Kara. 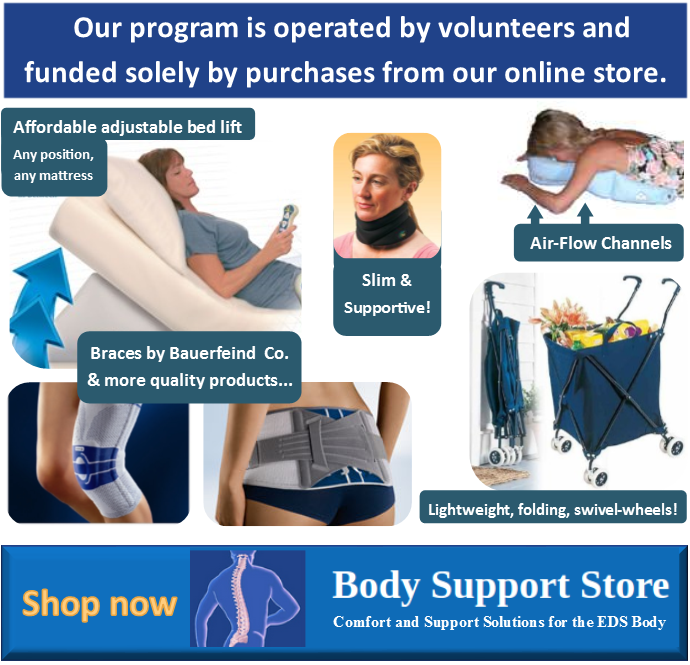 There are six types of EDS and LaFache has type 3, which is EDS Hypermobility. “You lose your independence, you lose your career, your livelihood. But at the same time, people don’t support you, they don’t believe you. Many of the symptoms are invisible, as it can be with pain. So, it’s having a chronic illness but without support. It’s not recognized as something that people hear about,” said Kara. The disorder is multi-systemic, meaning it effects every major system in her body from respiration to digestion. Because of these reasons, she has become dependent on her mother. “My daughter is in a lot of pain and has had to deal with a lot of disappointment. To see that as a mother…” cried Carol LaFache as she trailed off, unable to hold back her tears. 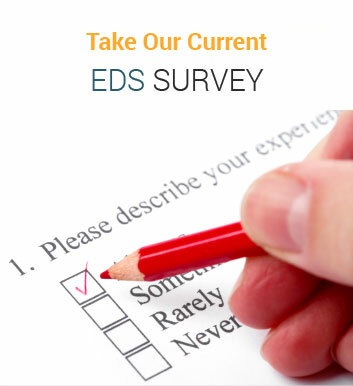 While the Ehlers-Danlos National Foundation (EDNF) puts current Ehlers-Danlos Syndrome (EDS) diagnosis at one out of every 2,500 to 5,000, estimates of the actual number of cases is much higher. Carol says the disorder effects collagen and tissue, therefore the pain is intense and perpetual. Kara said she was misdiagnosed 22 years ago, like many others have been, with Fibromyalgia and herniated discs. “For most of the time that she’s been sick, we have not been able to figure out what it was. You know she’s been misdiagnosed for more than two decades,” said Carol. What Kara LaFache actually has is EDS with mast cell, which not only causes her pain throughout her body, but the mast cell effects the immune system, making her highly allergic to almost every substance. At this time, she can only eat six things; chicken, beef, lettuce, apples, pears, and green beans. And she can only drink water and flax milk. There is also another side to this disorder, it can be expensive to diagnose and treat. And the family said they are tapped out, after tens of thousands of dollars in expenses. This weekend, on Sunday, a benefit is being held for Kara to help with the costs of the next step in her treatment, which is extensive physical therapy in Rhode Island. The Kara LaFache Benefit will be held at the Stonebridge Golf and Country Club from 11a-4p on December 13. “Right now EDS is not curable, and barely treatable, and so we need more research on better ways to treat this,” said Kara. Expert doctors and researchers estimate that as many as 1 in 100 people are experiencing symptoms of Ehlers-Danlos Syndrome and 95% of them are not being diagnosed! Dr. Neilson from Cincinnati Children’s Hospital indicates that up to 50% of his patients who were diagnosed with Fibromyalgia actually have Ehlers-Danlos Syndrome. 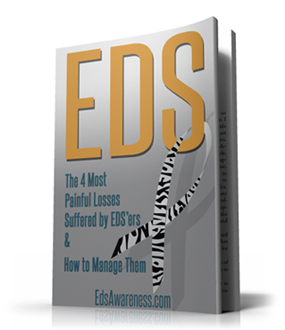 Learn more about EDS from the experts, through the Free EDS Educational Series Videos. Click here for the original source of this video and article.